I hope you all are enjoying your Sunday afternoon! Today is National Grandparents Day so don’t forget to call or visit your loving grandmother or grandfather! I have fond memories of my childhood but there are always some that you remember a bit more than others. 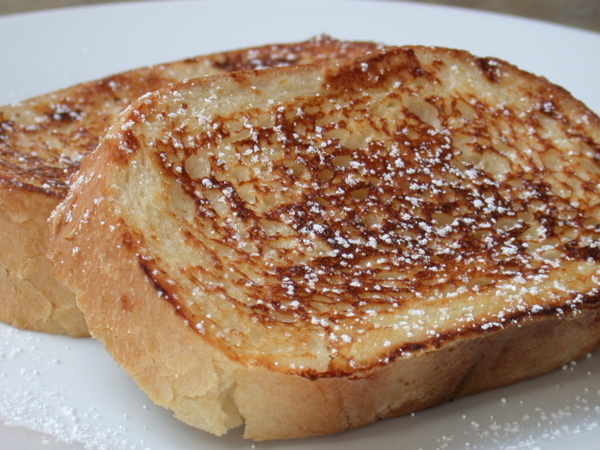 I remember always sitting on my grandfathers lap watching golf and I remember making the BEST french toast with my grandmother. It was so delicious that I decided to make it again and replaced butter with coconut oil. 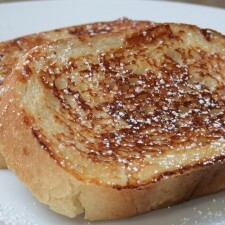 Here is my recipe for tasty french toast…how Grandma used to make it! Leave your bread on the counter overnight. The bread will harden a little bit and make for an even tastier breakfast! Place bread on skillet and cook until golden brown. On step 3, it says coat bread with coconut oil. Could you clarify if you were doing this by soaking up the oil in the skillet, or if you are spreading it on he bread before putting it in the skillet. Terry, Lani spreads the coconut oil onto both sides of the bread 🙂 Thanks for the question! In step 3, do you coat the bread with oil by absorbing the oil in the skillet…or do you spread it on the bread before putting other skillet?